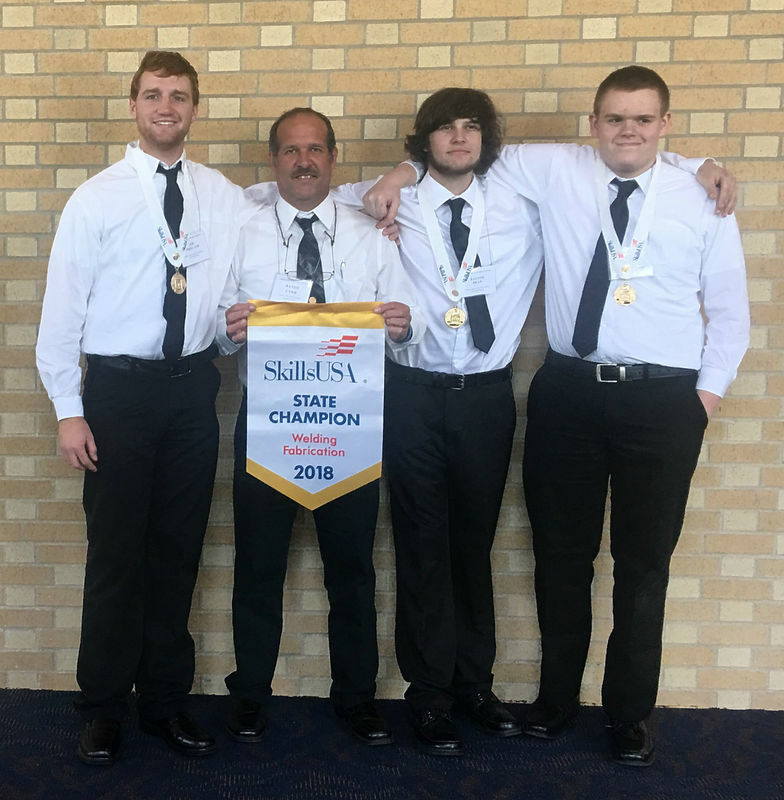 Four welders are bringing back state titles in SkillsUSA welding and will advance to national competition later this summer. 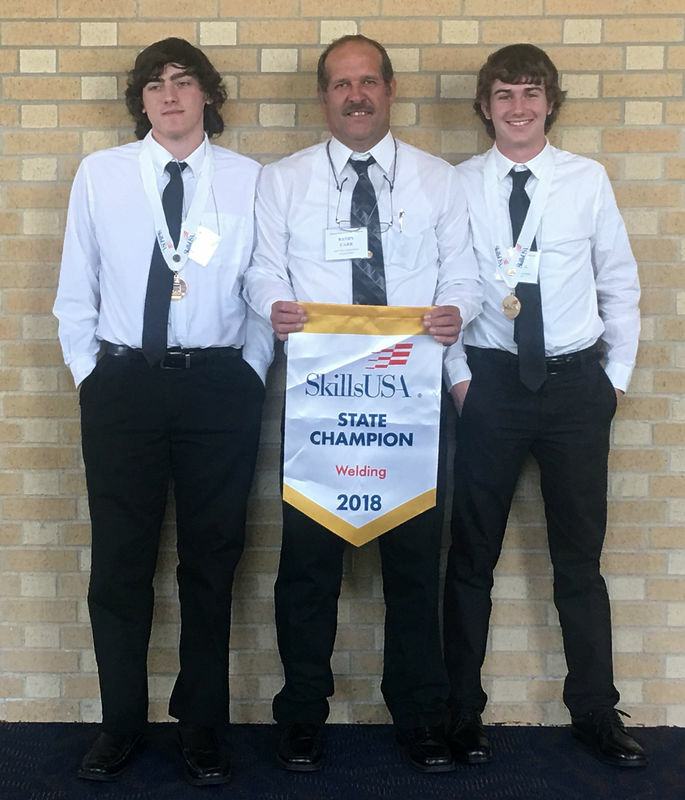 The Metal Fabrication team of Joe Freeland, Payton Dean, and Nate Smith finished first in judging after completing a project that requires blueprint reading, teamwork, and attention to detail. Tristen Cottrell finished first and Austin Murphree finished third in welding. Cottrell and the Metal Fab team will advance to Louisville, Ky., June 25-29 for the National Skills Leadership Conference. The entire team of welders representing West Side, which included Barrett Smith and Caleb Rose, have been working for two months during and after school hours with welding instructor Randy Carr to prepare for state competition. Photo of four: Metal Fab team Joe Freeland (from left), instructor Randy Carr, Payton Dean, and Nate Smith. Photo of three: Welder Austin Murphree (from left), instructor Randy Carr, and welder Tristen Cottrell.